The surrounding areas of Cape Town have wonderful opportunities for visitors. Enjoy West Coast treasures, coastal holiday towns, the glorious Garden Route, adventure, wildlife, nature at its best, festivals and so much more. The table below lists activities for areas surrounding Cape Town. 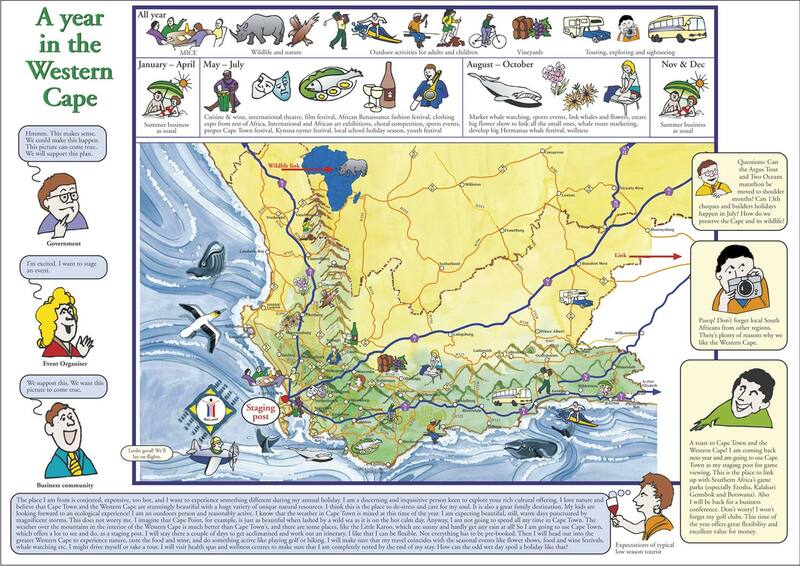 *NE 49/30 = North East 49 km / 30 miles from Cape Town airport. Archaeology Caves There are four Archaeological Caves that are Western Cape Provincial Heritage Sites. 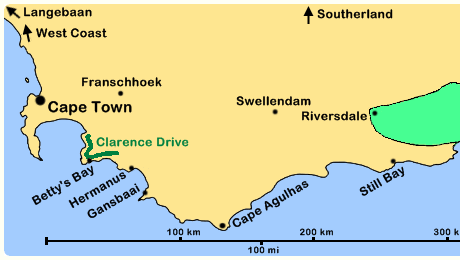 Pinnacle Point Caves Complex and Cape St Blaize Cave in Mossel Bay. Matjes River Cave near Plettenberg Bay. Blombos Cave near Still Bay (visit the small Blombos Museum). 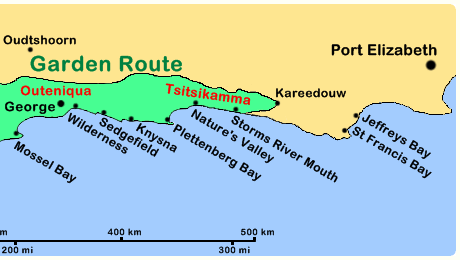 Nature Reserves There are over 80 Nature Reserves and five National Parks surrounding Cape Town. Some nature reserves are excluded from humans, some are open to the public and others are privately owed. The best way to experience a reserve is to stay at a lodge or chalets on a reserve. Game Lodges Besides the Big 5 safari reserves there are plenty of other luxury game lodges which also offer game viewing. Some have interesting offerings such as Bushman caves, rock art, fynbos tours, horseback safaris, elephant rides, spa, cave suites, quad biking and scenic hikes. All game lodges have plenty of African wildlife. Natural Springs There are several resorts located at natural hot mineral springs. Common and unique facilities include warm mineral pools (indoor and outdoor), saunas, jacuzzis, roman baths, natural rock pools, bird watching, hiking, camping, spa and water slides. Hotels, Resorts and Lodges World-class accommodation is available to suit everyone. Including tree top chalets, houseboats, cave suites, beachfronts, rivers, lakes, lagoons, wildlife, nature, guest farms, mountain ranges, budget, 5 star luxury, tranquil, historic, cape floral, game reserves, nature reserves, guesthouses, manors, log cabins cottages, glamping, camping, and caravanning. Hiking Trails There are thousands of hiking trails surrounding Cape Town. Most of them have spectacular scenery. This is our top 10; Otter Trail, Outeniqua Trail, Whale Trail, Krom River, Kogelberg Trail, Suicide Gorge, Dolphin Trail, Donkey Trail, Leopard's Kloof Trail and Oystercatcher Trail. *SE 490/304 = South East 490 km / 304 miles from Cape Town airport.